More and more couples are choosing to blend their wedding right into their honeymoon by booking a destination wedding. This entails a wide array of elements which wouldn’t be considered in a traditional, local wedding. Hotel reservations for multiple guests, airline and taxi transportation, logistics, vendor coordination and much more go into planning an event far from home. The one element you should never have to be concerned about is which DJ will provide you with the right music, lighting and effects to make your wedding a night to remember. Sunny South Florida is home to some of the world’s best known celebrities, a hot Latin backdrop mixed with a fusion of music, food and entertainment not found anywhere else. The white sandy beaches blend beautifully with the warm tropical water, setting the perfect scene for your wedding. There’s truly no better place in the U.S. to host your union. 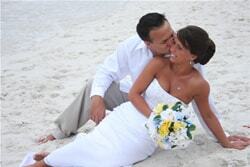 Eddie B & Company has been coordinating with brides planning destination weddings for more than 20 years. As the most connected DJ entertainment company in all of South Florida, we can work with you and your wedding planner to recommend venues, vendors and more. The one element you will never have to worry about is the entertainment. But don’t take our word for it. With over 250 reviews to read through on The Wedding Wire, The Knot and The Perfect Wedding Guide, you’ll soon learn from our happy brides exactly what sets us apart. We’re also the leading area expert in wedding lighting, providing beautiful décor lighting for your ceremony and reception as well as a fast paced laser light show and special effects when the time is right. Perhaps live music is more your taste for a tropical Southern wedding. We are proud to offer three fabulous musicians, offering a variety of live performances. We have a fantastic Italian / Classic singer who performs everything from Frank Sinatra big band music to classical singing. Our steel drummer is sure to add the Caribbean flair to your wedding; with more than 25 years of experience, you won’t find a better pan drum player in the area. Finally we are proud to feature our expert flamenco guitarist who perfectly plays beautiful Latin music. 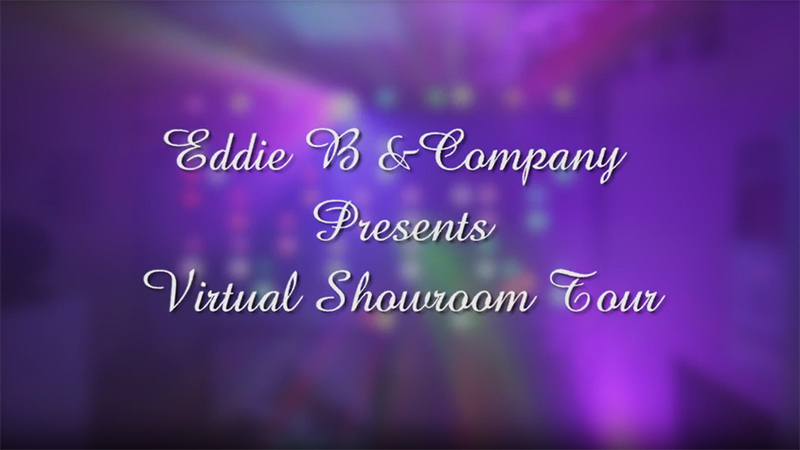 Call Eddie B & Company today at (954) 721-9911 today to learn about availability and rates for our live performers. Whether you’re honeymoon takes you on a cruise, through the Keys or to one of the breathtaking Latin American countries (only a short flight away), Eddie B & Company will send you off in style. Many of our brides plan destination weddings aboard yachts, or even at one of South Florida’s many spectacular beaches. You won’t have to worry about waves or sand ruining your wedding, or our equipment. We have been playing along and on the ocean since the very beginning. So what are you waiting for? South Florida is obviously the perfect destination for your wedding. And, Eddie B & Company is the perfect DJ, offering the music, experience, lighting, and effects to make your ceremony and reception ones to remember. Complete the “Get A Quote” form on the right and one of our entertainment consultants will reach out to you immediately. Book your dream wedding today with Eddie B & Company.